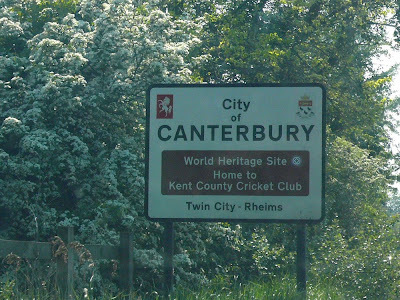 I know this is not the perfect shot but it is the only picture I could get that has something to do with Canterbury Twin City! It was interesting for me to know about Reims, France. Wiki helped so much. 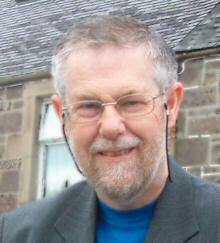 Why don't you put Reims link to let others know more about it? I didn't know that Reims takes a "h" in English...A city famous for French people for the cathedral where many kings (and Napoleon!) have been crowned. Seems Marley (Cheltenham) and I are not alone in only being able to find a roadsign mentioning our twins. I like those cities that are proud of their sister relationships and post signs to show where they are. You gotta do what you gotta do! At least the twin relationship is publicly acknowledged. Your post isn't being picked up by the scanner yet. Maybe you could edit the post time by a few minutes to see if that helps... It looks like you have the required code properly inserted - many people didn't do that. At least it's clear and to the point. No room for error. 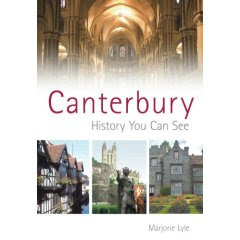 "It does what it says on the tin" who you are linked with and features of Canterbury. So many are twinned with French ones, for me that's a bonus. Welcome back! So, when do you visit your twin city? And can we go with you? Canterbury and Rheims, a fair dose of history in those two!